These personalized snowflakes make perfect ornaments, wine charms, key chains, gift tags, place cards, wedding favor tags and many more. 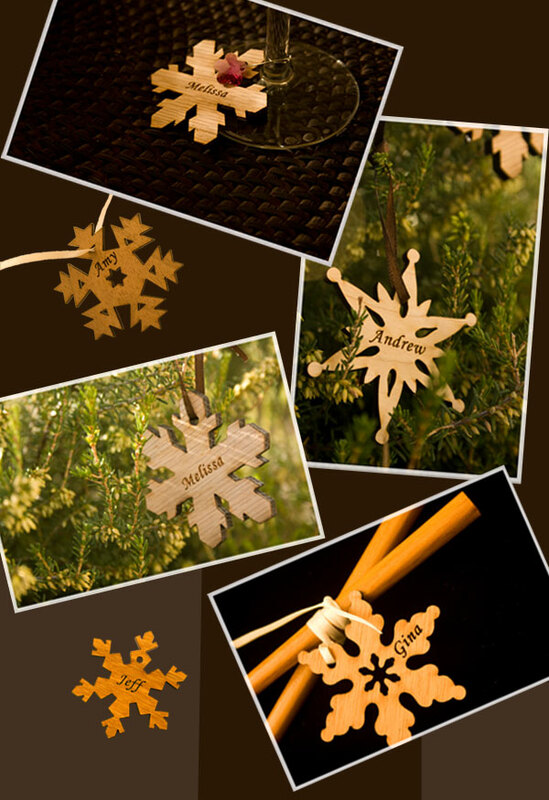 For a set of 5, you'll receive a wonderful variety of wood species including maple, cherry, walnut, mahogany and oak. Each type of wood offers different color, texture and fragrant. These snowflakes are also crafted in different shapes to ensure each one is distinctive and personally unique. Each snowflake measures approximately 2"x2"